Before I begin, I must say that this is by no means an easy swap that anyone should just jump into. Make sure you read every bit of information you can regarding the swap before you decide whether or not you’re going to do the swap. My goal of this thread is to give those interested (like I was) all the necessary information the need in one thread. Yes, I know there are LS1 swap threads, but the swaps are not identical and can be confusing to be certain what you need. I currently have a 1982 Pontiac Firebird with a 1986 2.8L fuel injected engine. It has a 1985 700r4 transmission with a cable driven speedometer (The car was frankenstiened together before I bought it). I have already mechanically rebuilt the car with my dad and this last year got rid of the yellow garage paint job I bought it with. I will add pictures of what I have done to the car later on. I will be using a 5.3 Vortec from a 1999-2007 sierra/Silverado. It will not be modified during its initial install, as my target is to get it running properly and healthy before modding it. The engine is cable driven and thus there is no modification needed for the gas pedal. It will be mated to a 4L60e transmission again coming from a truck. The transmission must be from a 2wd truck, otherwise the tail shaft will have to be changed and the transfer case removed. Following the transmission will be a stock fourth generation aluminum driveshaft as it mounts the same as the third generation’s, however it ways about half and can be picked up for $150. The rear end will be down the road; however, it will be a posi-traction differential out of a fourth-generation f-body (I hate my open differential with drum rear brakes). For now, I am doing a write up on what is needed to do the swap, with a general estimate of cost. I will be starting the swap later in the year when the car is off the road. I will be adding to this thread throughout my build process to try to give a more visual step by step process to swapping this engine in. The engine being used will be a 5.3 Vortec from a truck. 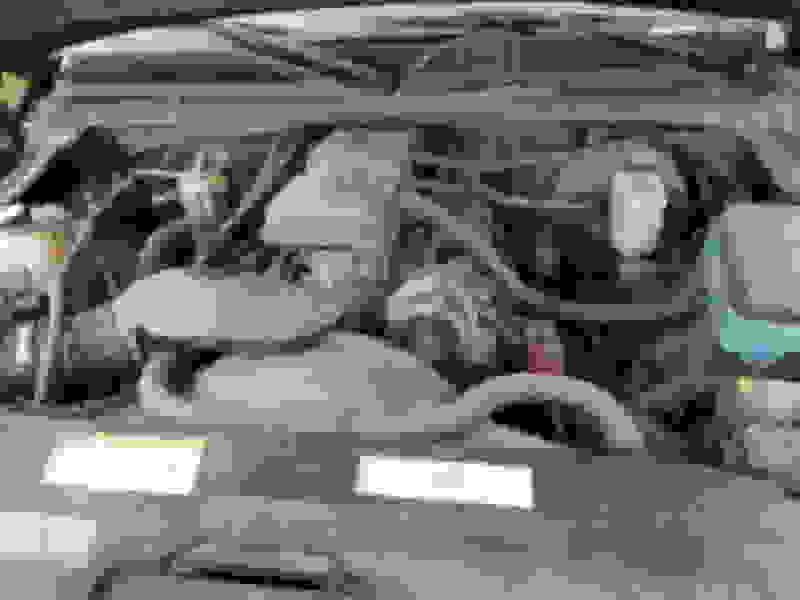 For starters, the intake must be changed to an LS1/2/6 intake to clear the hood. I will be using an LS6 intake as it flows considerably better than the LS1 intake, and there is no EGR hookup in it. Also, the intakes have no difference in price therefore the better flowing one would be in the best interest. The change in intake will require new fuel rails and injectors, as the truck injectors ill not fit properly in the LS1/2/6 intake. Most of the time when bought used, the intake will come with rails and injectors, however in the event they do not, there are adapters that can be bought to make the stock injectors work and thus only fuel rails will be needed. The truck throttle body will mount up and be sealed with the LS6 intake and will also work with the stock truck ecm then, operating the IAC, so to save some money, this is the route I will go. If keeping A/C, then the K-member will have to be notched in order to accommodate for the pulley, or an aftermarket tubular k-member can be purchased (Hawks sells them for $600). I have heard that the stock truck accessory set up without A/C will work in our cars, however the alternator apparently hits the hood and so the hood would have to be cut to make it work. Alternatively, ICT Billet is a great source for accessory drives. They make kits that will suit literally any combination desired. For my build I plan on using their LS Truck accessory drive that mounts the alternator on the passenger’s side (like a regular third gen) and uses an LS1 water pump from a 1999 - 2001 Camaro. The kit costs about 190, and includes the brackets to mount everything, what is still needed are the accessories themselves, luckily most 4.8/5.3’s you find will have accessories on them. The link to the accessory drive is below. With the ICT billet accessory drive kit, you can utilize the stock truck power steering pump to save money. There are plenty of options in regard to which lines to run. The stock third gen lines will work some tweaking, or you can also use stock fourth gen lines with ease. For a combination of both, using the stock third gen return line will fit near perfectly, and the feed line from the fourth gens will fit with ease as well. Option 1: Use ICT Billet Adapter Plates on the engine side of the mounts. Then, use stock SBC (305, 350) engine side clamshells with factory SBC mounts on the frame side. Option 2: The motor mounts from the 4.8/5.3 do not work with the stock third-gen k-member. Spohn mounts allow for the use of stock truck clamshells and mounts the engine in the same place as factory. They are “1” setback mounts”, which means that they allow for the engine to sit in the same place the stock 2.8/5.0’s sat it, allowing for no modification in the driveshaft. Putting the engine in the car will be much easier through disconnecting the k-member from the body, mounting the engine to the k-member, and then dropping the car back on top of the k-member. I have heard of people being able to drop the engine in the car as you traditionally would, however this is not the method I will be using due to the simplicity of the other. The stock truck exhaust manifolds are tight in the engine bay, but they do fit. There are no existing kits for exhaust routing and so you will have to either make a y-pipe yourself or get one made to tap into the original exhaust. Speed engineering makes a set of $300 long tube 1 7/8” headers that work well with the swap. They have good fitment with the subframe and 4L60e. It allows for very easy fabricating of a true dual exhaust, or even just a single 3”. The oil pan from the truck engine does not work with the f-bodies. It sits about 3” lower than the fourth gen f-body one does and as a result you will scrape the ground. There are kits that can be bought that include a fourth-gen f-body oil pan, dipstick & tube, pickup and windage tray. This is the route I will be going with instead of sourcing parts individually. The kit is roughly $300. Also, use a tee fitting in the heater hose to run the cross over tube into. Stock fans are ample for the set up which is nice as it saves some cash. The 4L60e or T56 are the most common transmissions to use with this swap. They both will connect to the engine and fit in the car well. The 4L60e is the same casting as the 700R4, however you must purchase a cross-member conversion to mount it in the car. The fitment; however, is identical. Using the 4L60e allows for the stock driveshaft to be used. The 4L60e from the truck does not have a mount for the torque arm and thus there are to routes to go about solving the problem. The first solution is to get a 6-bolt extension housing from a 4L60e off a 1998-2002 Camaro/Firebird. Otherwise, it will have to have a separate mount on the crossmember. An aftermarket torque arm can be bought from Spohn or UMI to mount the torque arm to subframe connectors, making it independent of the transmission area. There are three commonly used options when choosing transmission crossmember to use. Firstly, the stock 700R4 crossmember can be extended to fit the position of the 4L60e. Since there is no mount for the torque arm, it will have to mount to the transmission. Secondly, Hawks makes a crossmember that relocates the mounting point of the transmission with the same bolt pattern to the subframe. It too does not have a torque arm mount so the torque arm will either have to mount to the transmission or a custom mount will have to be made. Thirdly: Holley makes a crossmember that has a mount for the torque arm and good clearance for headers. However, the transmission mount is about 1” forward as it is designed to be used with their motor mounts and k-member. If someone is to use their mounts and crossmember with the factory k-member, it will have to be notched to fit the oil pan. Use the 700R4 linkage with the 4L60e, flipped 180 degrees. This will allow for clearance for the speed engineering headers. If the shift linkage from the 4L60e is used, then the headers will have to be cut back a bit to, an have the y-pipe bend down slightly to clear the linkage. The 4L60e has vehicle speed sensor. For those will electronic speedometers it is a direct hook up. For people with mechanical speedometers, there is a mechanical drive box that can be bought for $300 which takes the electronic pulses the transmission takes and drives a mechanical speedometer gear to allow for hook up to the original speedometer cable. I will be purchasing an aftermarket speedometer and mounting it in place of where the original speedometer went. I see this as my best option as there are poor reviews with the mechanical speedo box, and it is expensive. Instead I’ll be using a digital 200kph speedometer that is the same size as the original and will hopefully fit with the plastic over my cluster. [See the electronic speedo write up in the Various section for the install]. To swap a T56 in from a T5 or better yet a 700R4 is an entirely different thread on its own. All I know for certain is it can be done, but with a large price tag attached. Ah yes, the scary part. If you do not want to attempt to do the wiring on your own, many places sell wiring harnesses that have already been converted to make it work with the car. They are a good choice, however they also run $1000+. Now that the car is wired in, the computer will have to be reflashed to get rid of its security system to stop from start and die conditions. LT1swap.com will do a computer reflash and just about any other little thing you want to the computer so that it will work in your car, all for $75. Regardless of what engine you have, the third-gen fuel pumps do not have the capability to pump the 60 psi the LSx engine needs. To accommodate for this, you can add an aftermarket fuel pump to the car, or better yet use a fourth-gen fuel tank. The fourth-gen fuel tank has the proper fuel pump and fits nearly perfectly in the third-gen spot. It also has a built-in charcoal canister, so you can get rid of the can up front and clean up the engine bay. The only downside is you will have to reroute your fuel lines at the back to make it work, which can get expensive. To use the stock third gen fuel tank and system with the 4.8/5.3, a new fuel pump and regulator are needed. Most use a corvette regulator and a Whalbro 255 fuel pump. Routing these into the existing fuel system is a simple addition, and allows for the use of the stock fuel gauge, and no rewiring for the fuel pump as the Racetronix kit comes with a plug and play harness for third gens. The truck engine harness will read the raw 40ppr signal the VSS from the transmission sends out and will convert it to 4000ppm. The PCM pin to tap into for the electronic speedo is C2 21 on the red and blue PCM. Most aftermarket speedometers follow this standardized reading and thus should work. If buying a prewired kit, then there will be 3 speedometer wires that will come in the kit. When running an aftermarket speedometer, only one will be needed to use, otherwise all 3 will be used with the cable x box. All that’s then left is to hook up a battery and a ground to make the speedometer work. im looking forward to seeing what you come up with. My build starts in October. 5.3+ boost and e85. gonna cost a pretty penny but it will be worth it. Picked up the donor vehicle today. 2000 gmc sierra 5.3 2wd. Axle/Gears: 10-bolt, 3.42s, Torsen diff. Looks good! How many miles on that engine? No matter what it is, I'd recommend doing a compression check on all cylinders, just so you know what you're dealing with. You and I are both going to be doing truck LS swaps at the same time; I'm getting all of the parts ready to do a 4.8 swap into my girlfriend's '89 Firebird. I'll be making my own thread soon. It has over 150000, and yeah thats the plan. Straying away from the budget a little bit and am going to do a full engine and transmission rebuild. Will probably add an extra grand but then id know for sure that the engine should last. Look forward to seeing your thread! I just pulled my 5.3L from a U Pull yard yesterday. Hoping by fall to have the engine running. My car is an original 5 speed car so I staying manual. The guy I bought my car from bought a 5 speed from a 4th gen so I'll be using that for now. Subscribing for updates! Good luck! 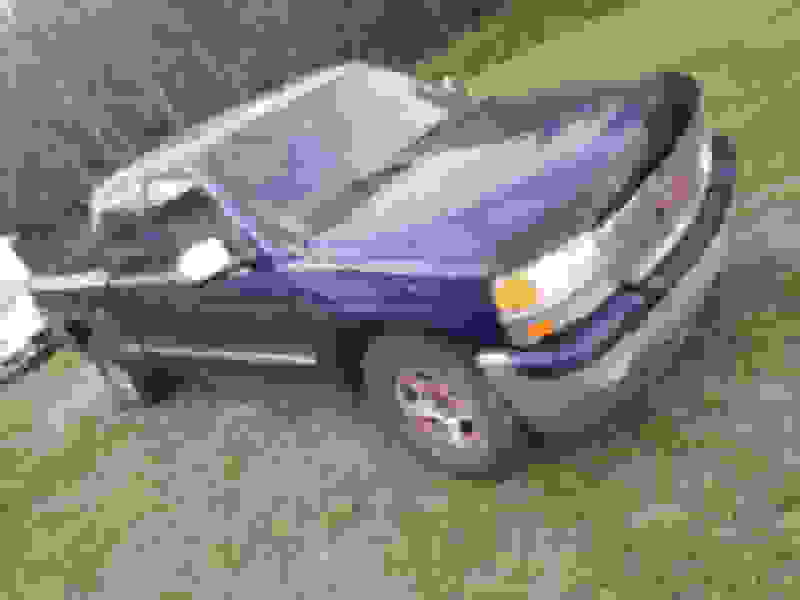 any updates as I am embarking on the exact same swap (only the 4.8L) out of a 03 Sierra with the 2WD 4L60 from the same truck. Nothing to update in terms of build progress. I have been mainly reading more on specific details of individual pieces I am going to use. Will be pulling the truck engine in the coming weeks however so I will make some progress in the coming future. Pulled the engine, transmission, and electrical from the truck! Truck has been sent to the scrap yard and now its time to start building the engine. Engine is almost fully stripped down to its block. For a high mileage engine, I am very impressed in terms of the condition it is in. Pistons have very little scoring on their sides, camshaft looks excellent, crankshaft has little play, connecting rod bearings were in good shape, and the lifters were near perfect. 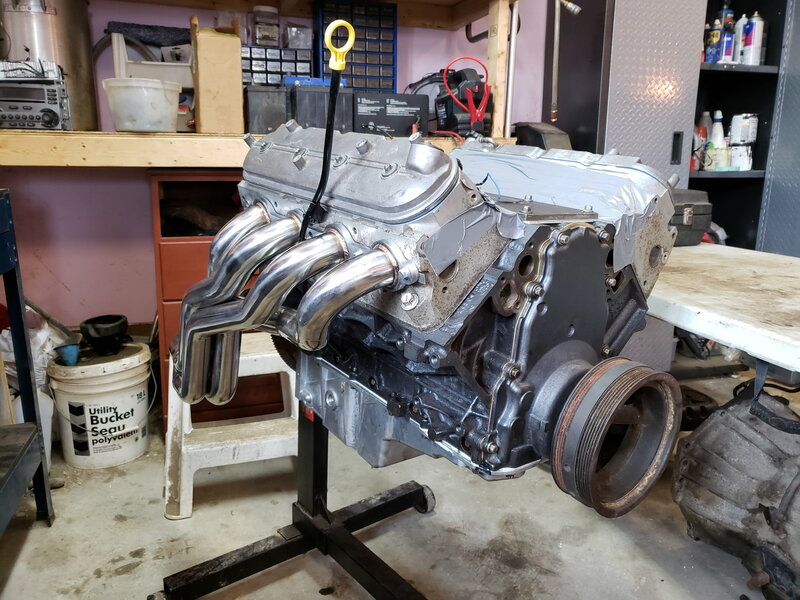 Am going to putting in new lifters and push rods, cam, crankshaft and connecting rod bearings, timing set, and new lifter springs in for this build. Also am going to be re-hatching the cylinder walls for preventative measure. Hopefully will have the block fully cleaned and painted in the coming weeks! Not too much to update as of now with school. Got the engine completely torn apart and cleaned up. It turned out to be in great condition. Still changing most internals of engine as a precaution. Waiting on one set of piston rings for a cylinder as the kit I was sent was missing one of the piston oil rings. Once I get that, should be able to reassemble the majority of the engine. Decided to go with a stock rebuild. Using Fel-Pro Gaskets all around, and Fel-Pro Heads. Went with sealed power crank and connecting rod bearings, as well as piston rings. Going to use melling lifters and pushrods, and timing set. Hopefully will get some pictures of the block reassembled soon! So what will i need to do to make my 91camaro accesorys work like lights and turn signals windshield wipers etc? None of those run off the engine harness. They run off the body harness. that will remain the same. You will either have to make a custom engine harness to tie into the main harness (C100 where body and engine come together), or isolate the engine harness. Take some time to read the stickies at the top of the LSX swap page. Plenty to read and get acclimated to. use a torque plate, heat the block, art method? After the season ended and I had about 20 passes and 1000 street miles I peeked in the cylinders with my bore scope and noted mild scuffing. Max boost was 24 psi for maybe 6 passes. Out it came and disassembled. With stock **** (I should have left it alone) surviving better than my semi fancy stuff, I'm a bit lost. A few friends and I have been through the exact same. From what I could tell, it all boils down to poor assembly and/or machining. Every time I’ve let an affordable machine shop touch an engine I’ve regretted it. Most simply can’t do the same quality machine work and fitment GM can. Especially if they don’t specialize in LS or turbo engines. Not saying others don’t do a fantastic job and have good luck building LS engines. Just that my small circle of friends and I locally haven’t found anyone that can do a decent job. There are several “reputable” machine shops here and none of us have had any luck. Last edited by Kingtal0n; 01-10-2019 at 01:54 PM. Almost done school for the year. Over the winter I have gotten pretty well all the swap parts I need. Engine is rebuilt as well as transmission. Hopefully am going to be putting in the engine within the next month. Here's a picture of the engine all rebuilt and ready to go in. What kind of dipstick are you using? That thing is sticking up really high, like a truck stick, and if that's what you're using, it won't read properly with that 4th gen oil pan. What kind of front accessory drive are you going to use? im doing a 5.3 out of a tahoe . i got the chance to buy the accessary brackets alt. an power steering pump . pullys etc off of a gto . do you know if these will work . im going tuurbo after i get it running . so i need these accessarys to work with the forwartd mount exhaust also . Yes they will work. They are similar to the ctsv accessories and have the vette spacing. That thing is sticking up really high, like a truck stick, and if that's what you're using, it won't read properly with that 4th gen oil pan. I've often thought about that. I am not sure why that matters, but maybe I am thinking about it all wrong. MY assumption with oil level is that with these Gen III/IV engines, you don't want the oil level to be above the windage tray as it is running. They are all running similar oil pumps, so wouldn't the oil LEVEL, essentially, stay the same from one vehicle to the next, and come to the same place on the dipstick? That is, aside from the tube sticking up real high like that. I could see if you were trying to use a dipstick that is not matched to the tube, then the level indication would be incorrect to the amount in the pan. Is my assumption wrong here? No, I don't think you're wrong; now that you put it that way, it makes more sense... I was thinking back to some other engine swaps I've done, where the tube/ engine/ oil pan are all mixed up. For the record, on the swap I'm doing, I'm using an F-body pan and tube, but I'm just going to cut the dipstick from the donor Tahoe because I'm cheap. The dipstick and oil pan are both 4th gen fbody, not truck. From what I have read the truck dipstick and tube wont fit nicely in the engine bay. wheres there a good place on line to get a base tune for a 5.3 ? Last edited by freaky; 04-10-2019 at 07:13 AM. I had someone locally who uses HP Tuners give me a start up tune. (Mail order tune but local). If you don't have a lot of experience with tuning, I have heard many good things about Frost Tuning. They do anything from mail order tunes to full tunes. Stock cam- why would you even bother? I tried it once. Its terrible. A cam swap on 02-05 truck engines in a turbo application is worth over 100hp. In an NA application is must be worth at least 50-80hp.